James Needs A Transplant And Your Help! James Davis has been battling kidney disease and after being medically stable for many years, he suddenly entered Stage 4 kidney failure and was told that he needs a kidney transplant. James is being proactive and hopeful that he can get a transplant from a live donor as soon as possible so he will be healthy for the transplant surgery and recovery. A kidney transplant is his best hope for a long life. James is now a grandpa! 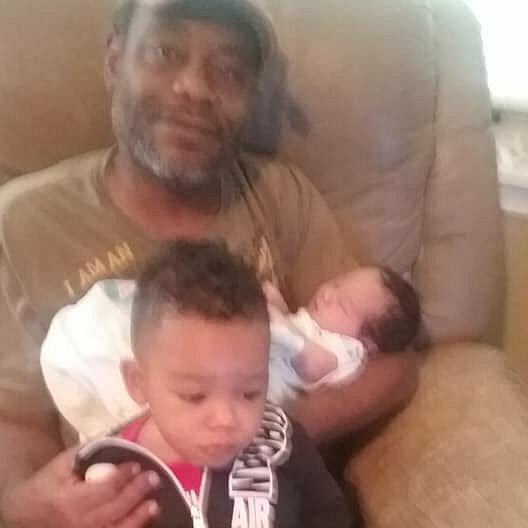 He has one grandson and one new baby granddaughter! He must be around to watch them grow up. James was born deaf, has an interpreter wife, two brilliant, hard-working daughters and a job stocking shelves at a local store. He is also a leader at the Wichita Association of the Deaf. Transplants, while life saving are very expensive. Even with insurance, there are many expenses that need to be paid out of pocket including co-pays, deductibles, travel to KU Medical Center and motel expense for the required week long stay post-surgery, and the costly anti-rejection medications that James will have to take for the rest of his life. James will miss work during the transplant and recovery period and will need to pay for his health insurance premium out of pocket. Maintaining his insurance coverage is extremely important. To help with the financial burden of James’ uninsured expenses, a fundraising campaign in his honor has been established with Help Hope Live, a trusted nonprofit organization that has been providing community-based fundraising guidance to patients and their families for more than 30 years. 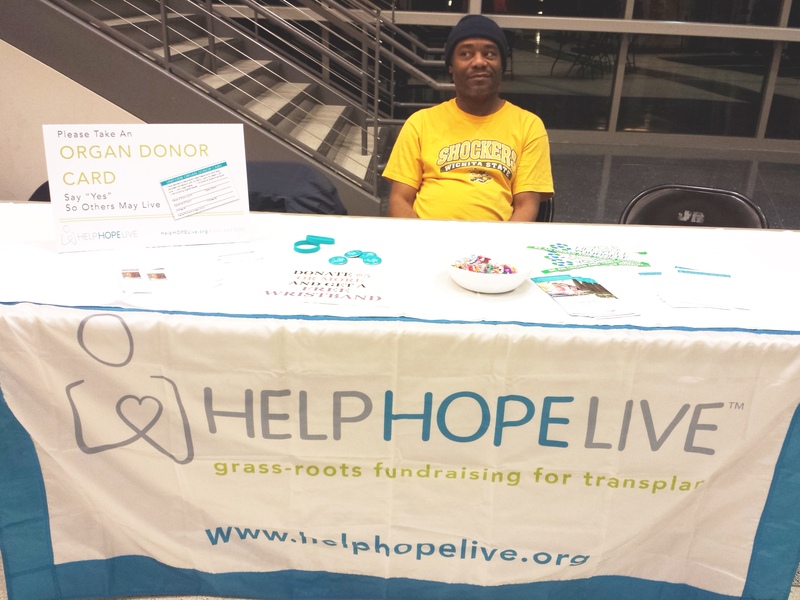 All donations are tax-deductible to the full extent allowed by law, are held by Help Hope Live in the Midwest/West Kidney Transplant Fund, and are administered by Help Hope Live for transplant-related expenses only. Please consider making a contribution. The entire family is working to save my husband’s life and pay for this transplant but we need your help. Please share this on social media so your friends and family have a chance to help. James just saw his nephrologist last Friday after having a kidney ultrasound done that showed his bladder was emptying properly still. The doctor said his kidneys now function at 22%. This puts him in Stage 4 kidney failure. Stage 5 is when the transplant will be needed and dialysis will start. His level will be below 15% at that point. Normal kidney function is 60% or higher. Latest News: James has a new doctor who is watching him closely. His GFR levels are sinking so we may need this fund sooner than we thought. This Tuesday, November 27th, HelpHopeLive will cover the credit card fees so your entire donation will go to his fund! Please plan to help! We got news a few months ago that James’ levels have dropped. He has stabilized and for now is being closely watched. He is now right on the brink of Stage 4 kidney failure. We have a long ways to go raising money before the day comes when he needs a transplant. It looks like that date has been moved up. Any help or fund raising ideas would be wonderful. Total donation from Mooyah for burgers, shakes and fries sold: $100. Store owner Anthony Powell also had us put a donation jar by the cash register and we got another $42 donated there. Thank you all for coming! Thank you to all who are donating! We do appreciate all the help! The fund raiser at Mooyah on Sunday had a lot of burgers sold! I do not have the total yet but will post it when we know. I also got a promise from owner Anthony Powell to give a personal donation. Nice guy! To qualify for a transplant you have to be proven to otherwise be healthy. The best candidates for kidney transplants are those who are well and no on dialysis. One of these many tests was done last week. James saw the cardiologist and had a stress echo-cardiogram done and passed! We knew his heart was healthy even if his kidneys aren’t. There will be more meetings and testing done. As the process continues we will need your help. James’ insurance only pays for 20% of all testing. We may need to draw on this fund to pay for it all. Please share this page and help if you can. James saw his nephrologist (kidney doctor) on July 20, 2015. Doctor says he is stable for now but still wants to see him every 3 months. Told him to continue with the transplant efforts and had a long discussion with James and his wife Lori about kidney function levels and how soon a transplant will be required. We have a fund raiser planned in Wichita! Please come hungry and have a meal with us. A percentage of the proceeds will go to HelpHOPELive in honor of James. The more they sell the higher the percentage! Hi James! The students and staff at Derby High School are going to start selling t-shirts for $10. Proceeds will go to your goal of $20,000. The community loves you James and all the support you have shown the students here at DHS and our community through the ASL Dinners. Hi James, we met your wife last night at the WSU women's basketball game. Our kids are all hard of hearing. We will be praying for you and hope you get your kidney soon! Blessings! My prayers got out 2 u cuzn. May God bless you Cousin James. I had no idea. I'm sending a donation along with my prayers to you.